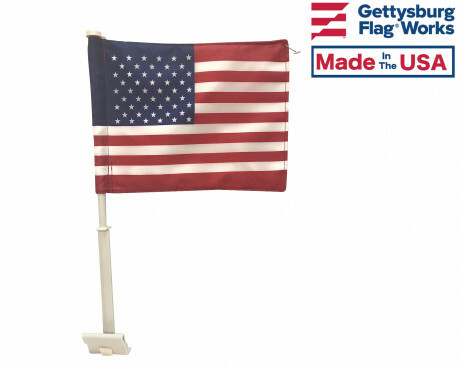 American Antenna Flag - 12x18"
Gettysburg Flag Works is proud to offer only the most durable outdoor American flags for sale! And they are 100% Made in America! 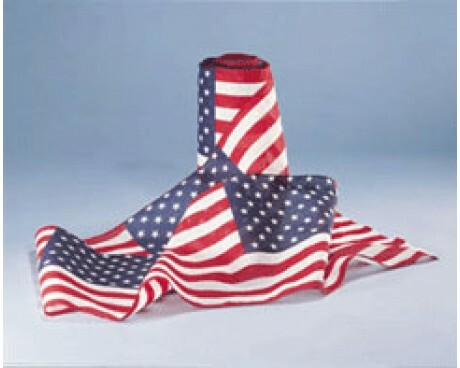 Nobody wants to see their American flag tattered or faded. That's why we've invested time and money into developing and offering the strongest outdoor American flags on the market. 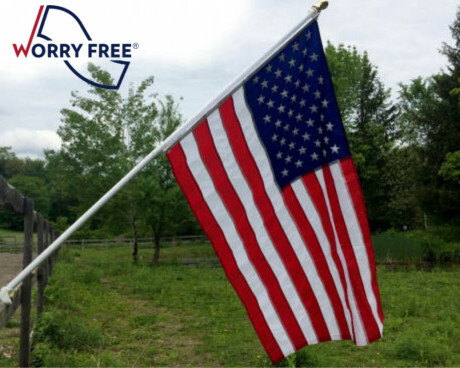 There are a variety of flag styles and materials that are ideal for outdoor use. We carry a number of different options so you're sure to find one that works for you! 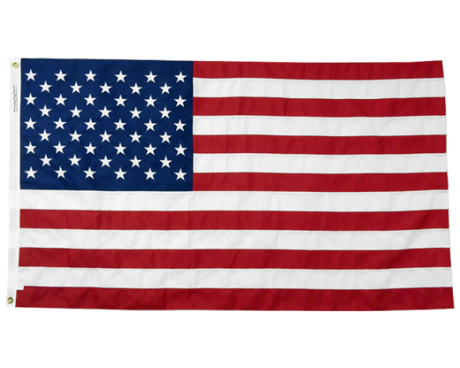 We carry a few types of nylon American flags for outdoor use because different locations and geographic regions call for different flags. 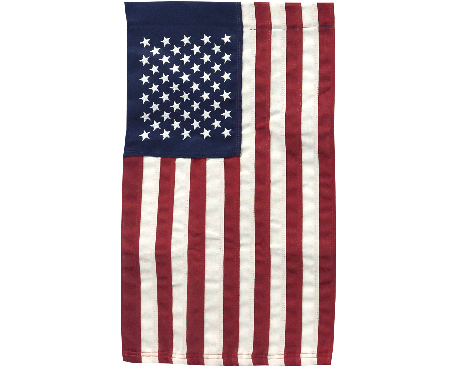 Our all-weather nylon American flag is a long lasting, lightweight flag with lock stitching and embroidered stars. 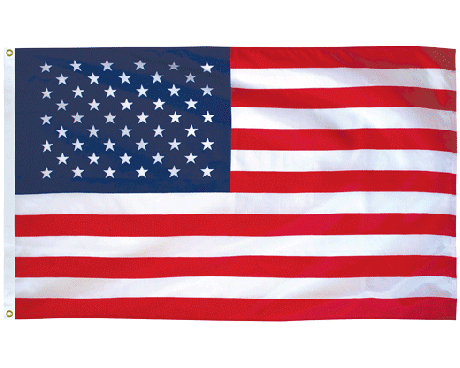 It is a higher quality flag than most of our competitors carry but is not the best that we carry. Our Battle-Tough® American Flags are similar in look and feel as the All-Weather flag but the Battle-Tough® has extra stitching on the fly end to make it last longer than everyone else's outdoor American flags! 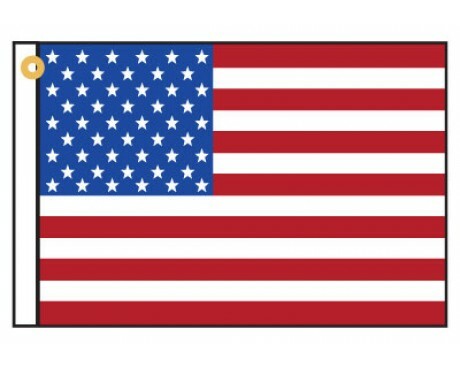 The Signature Series American flags are beautiful, high quality, and have the most stunning effect of them all when viewed up close. 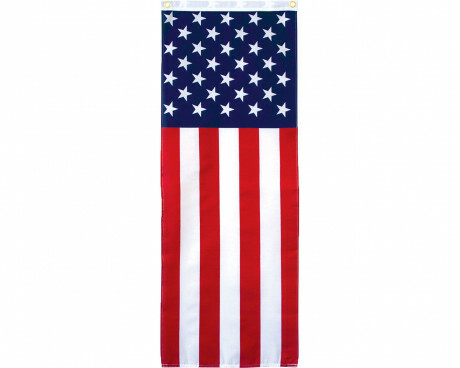 If you're looking to impress your guests with a beautiful flag by your front door, this is a great option. 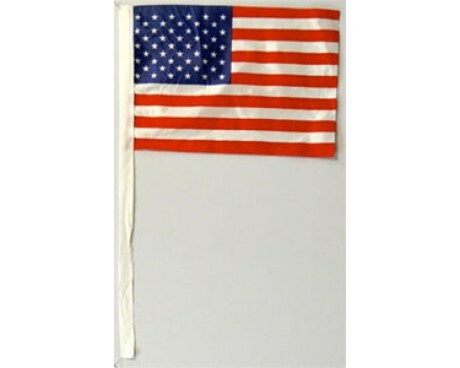 The heavy duty polyester American flag is a heavy, canvas-like material that is very durable. It isn't as lightweight as the nylon and requires more wind to fly but is a great solution for heavy winter winds. 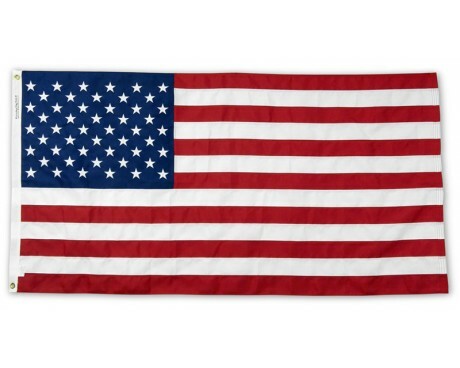 This is not the lightweight polyester printed flag that you can get in the hardware store, it feels more like a very heavy cotton or sailcloth type of fabric. 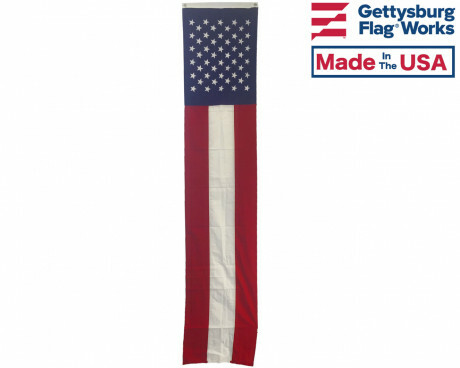 Gettysburg Flag Works also offers smaller outdoor American flags for sale! 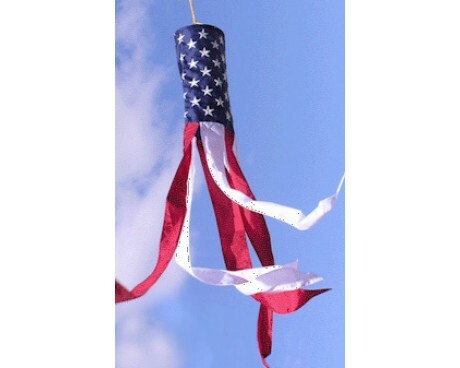 They can be displayed on a car fender in a parade, on an antenna or mounted to your car window. 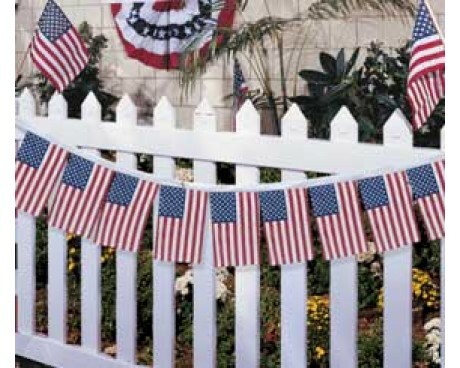 We offer bunting, pleated fans and garden flags for decorating the outside of your home or office. 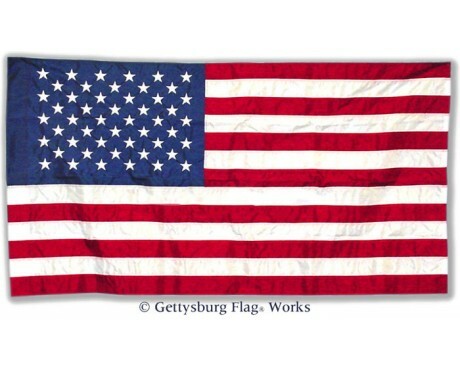 At Gettysburg Flag Works, we strive to be your one-stop shopping resource for all things flag-related! 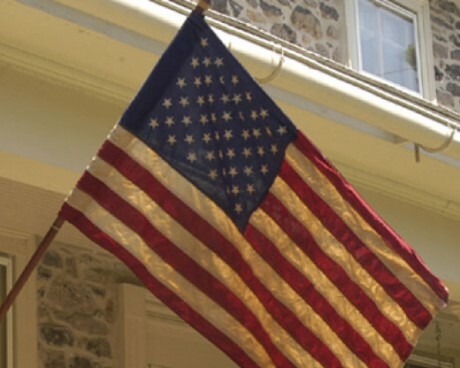 That's why we offer a full line of flags, as well as the flagpoles and hardware you need to display them properly and proudly. 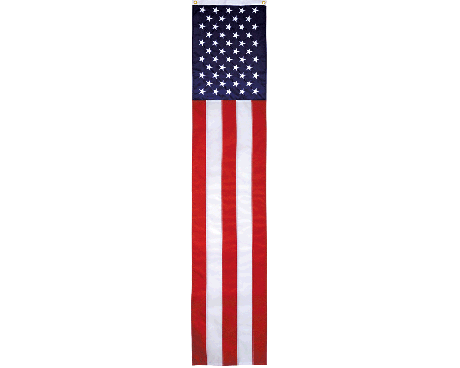 In need of a flagpole to display your new American flag outdoors? Check out our in-ground flagpoles and our house mount flagpoles - both great residential flagpole options. Curious how tall your flagpole should be to display the new American flag you've picked out? 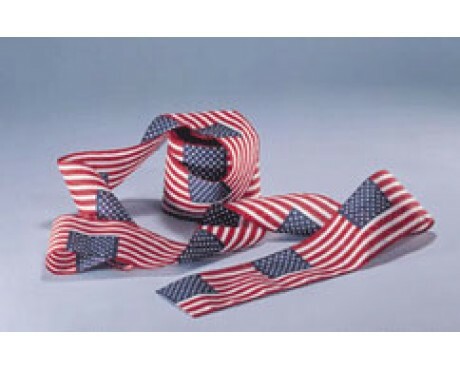 Not sure which size flag is best for the flagpole you already have? Please see our Flag to Flagpole Size Ratio Guide for information on choosing appropriately sized flags and flagpoles. If this is your first time displaying an American flag outdoors? 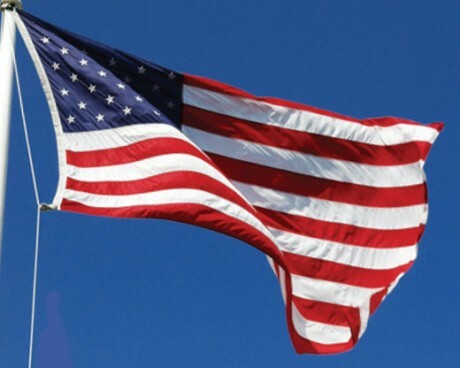 We highly recommend that you check out our American Flag Etiquette Guide to learn how to fly your flag appropriately and according to official protocol. Retiring an old flag to make room for your new one? 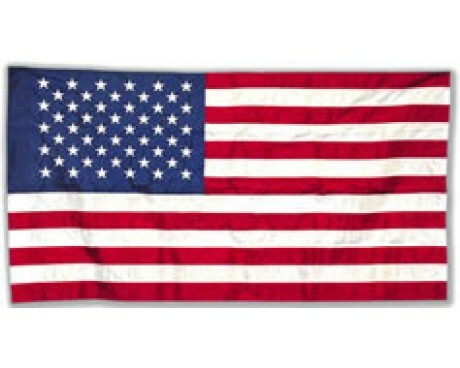 Find out how to retire your well-loved American flag with honor and ensure that you are retiring your old flag correctly. 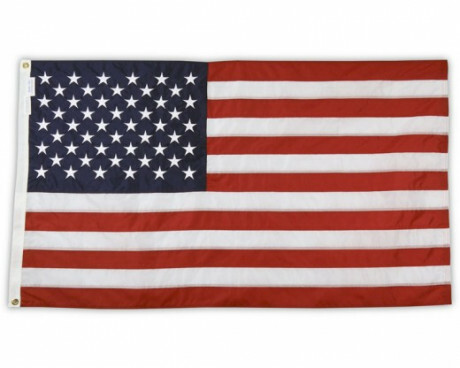 Have Questions About Our Outdoor American Flags Made in the USA? 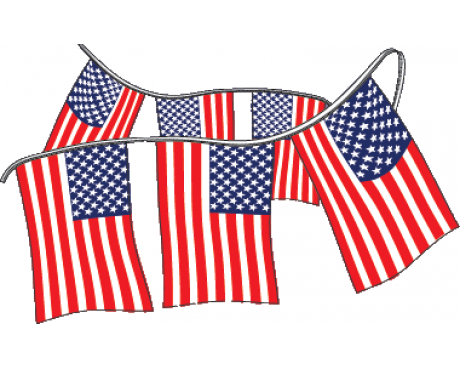 We know there are many options to choose from when it comes to outdoor American flags. Have questions or can't figure out which flag will work best for you? Feel free to reach out to us with questions or inquiries! Give us a call at 1-888-697-3524 or contact us online and we'd be happy to assist you!